Join us for a presentation of Shahed Saleem’s latest book, the first overview of Muslim architecture in Britain from the earliest examples in the late 19th century, to mosques being built today. Saleem focuses on the way in which the mosque as a new cultural and architectural form has become embedded into the existing urban fabric of Britain’s towns and cities, and how this new building type has then impacted its urban landscape, socially, culturally and architecturally. Shahed Saleem is a practising architect, and a design studio leader at the University of Westminster School of Architecture. He is also a Senior Research Fellow at the Bartlett School of Architecture, UCL, working on the Survey of London’s project about the urban history of Whitechapel. His particular research and practice interests are in the architecture of migrant and post-migrant communities, and in particular their relationship to notions of heritage, belonging and nationhood. 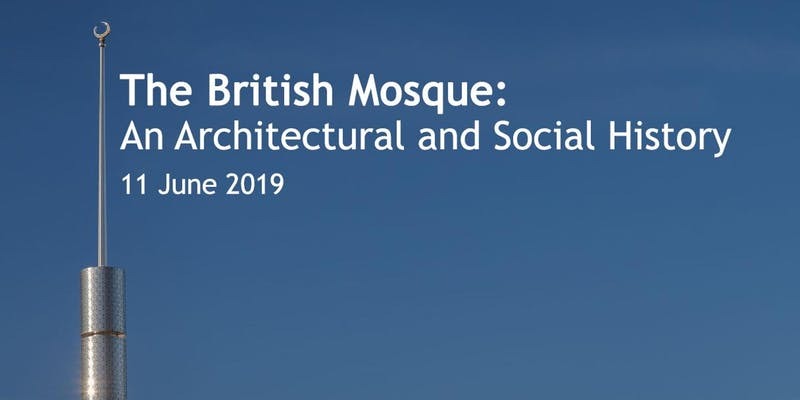 Saleem was commissioned by English Heritage to research and write the architectural and social history of the British Mosque, which was published by Historic England in 2018. Through his architectural practice he has worked with faith communities for over 10 years in designing and delivering places of worship, and he regularly consults on academic and public projects focusing on the architecture and planning issues facing faith communities. His design work has been nominated for the V&A Jameel Prize 2013 and the Aga Khan Award for Architecture 2016, and his research won an RIBA President’s Medal for Research commendation as well as a Historic England Angel Award commendation in 2018.